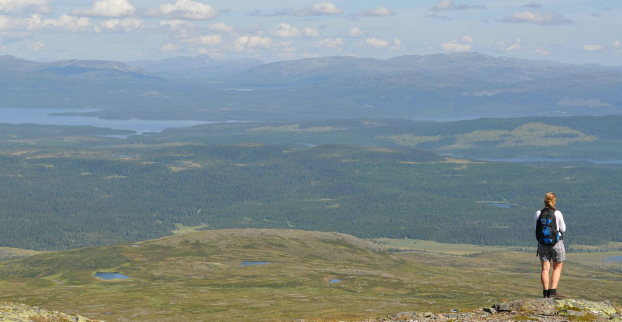 Welcome to Kallsedets Mountain Center (Fjällcenter). You will find our mountain centre on the slopes of Skäckerfjällen nature reserve, between the lakes of Kallsjön and Juvuln. 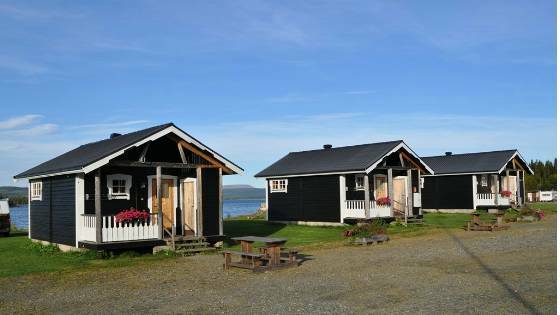 If you fancy either a summer or wintertime activity holiday or a tranquil relaxing holiday this is exactly what you will find at Kallsedet! We have a fully equipped campsite that will cater for all your needs to make your holiday an wonderful experience. On our site you will find 25 pitches for tents, caravans and static caravans, plus if you’re not interested in camping outdoors you can stay in our very well equipped cabins or hostel. On our site we also have a large shop, petrol station and a small mountain cafe, which is open all year round. 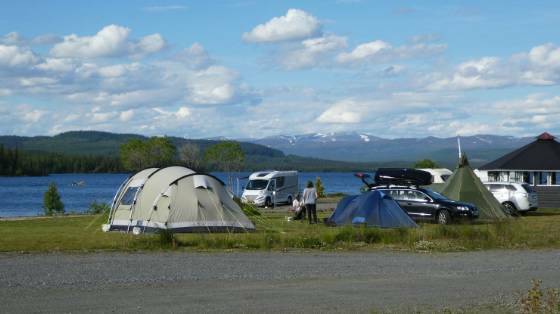 Nearby our camping your will find Vaernes airport (Trondheim) (2.5hrs away). 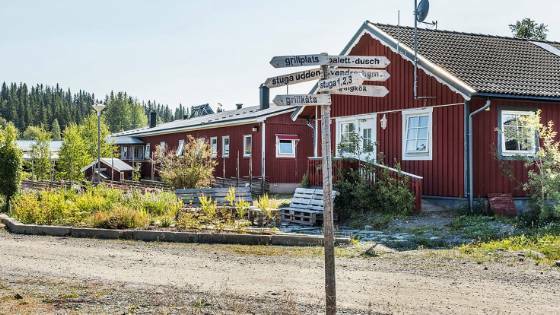 Kallsedet is a small and welcome family campsite....We aim to make your stay as pleasant as possible, please ask us for any information and keep to the camp rules to ensure that everybody else’s stay is as pleasant as possible! 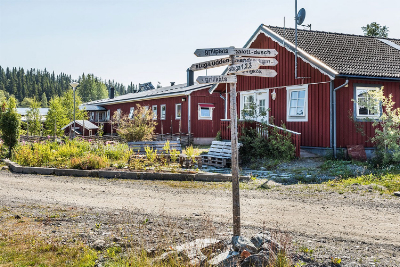 Stay in a fantastic mountain setting with the lake on your doorstep and the wilderness of the Skäckerfjällen Nature Reserve just around the corner. The cottages are available to hire all year round, and sleep 2, 4 or 6 people. Check-in is 3–9 p.m and check-out is 10 a.m. Guests must be at least 25 years old to book and check in. – our 6-bed cottage has 1 bedroom with 2 single beds, 1 bedroom with 1 bunk bed, and 1 double sofa bed. The price includes beds made up on arrival and cleaning. All the cottages are fully equipped and have their own shower/WC/washbasin and kitchen with t/t cooker/oven, microwave and fridge. We offer a range of different-sized hostel rooms, from 2-bed rooms to family rooms. There are fresh and clean showers and WCs close to the rooms, as well as a large guest kitchen with cooker, oven, fridge, freezer, microwave oven, etc. Large sitting room with TV. A drying room and washing machine are also available. Close to our self-catering accommodation you’ll find a Sami tent for BBQs, where you can cook outdoors in the evenings after a packed day of activities! We have special rooms and one cottage for guests with pets. We also offer highchairs and cots for the little ones. You’re guaranteed your own room, so you’ll never have to share with someone you don’t know. And all of our rooms are non-smoking! If more than 8 of you are coming together, contact us to book as a group for an even better price. Cottages for 2 or 4 people with beautiful views of the lake Juvuln. The cottages are fully equipped for self-catering. There is also a hostel with several rooms, showers and toilets.